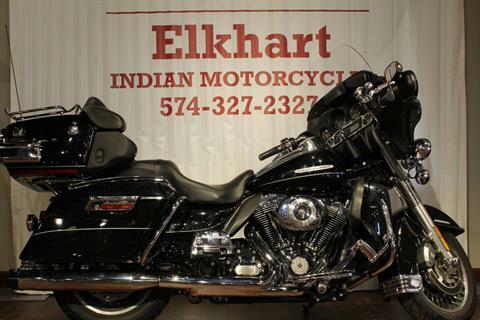 The 2012 Harley-Davidson® Electra Glide® Ultra Limited FLHTK is a premium featured touring bike full of authentic Harley-Davidson grand American touring style. Some of the bike's premium features include air-cooled Twin Cam 103™ engine for powerful performance, ABS brakes, heated hand grips, titanium face gauges, Tour-Pak® inserts, a premium Tour-Pak luggage rack, 28-spoke contrast chrome wheels, and special Ultra Limited identifier medallions. 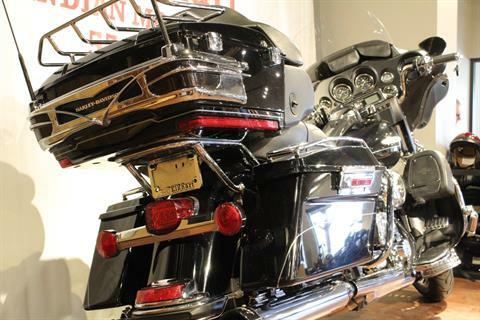 Also found on the Harley Electra Glide Ultra touring bike is a 6 gal. fuel tank so you have to stop less for fuel. 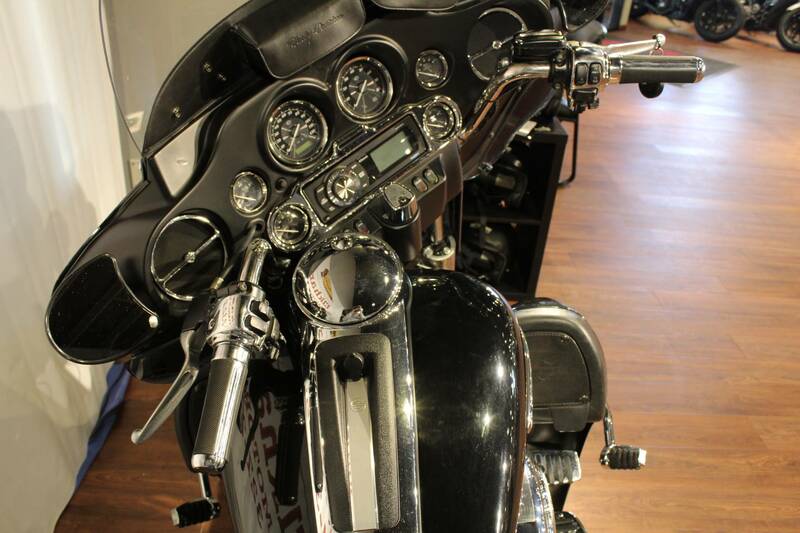 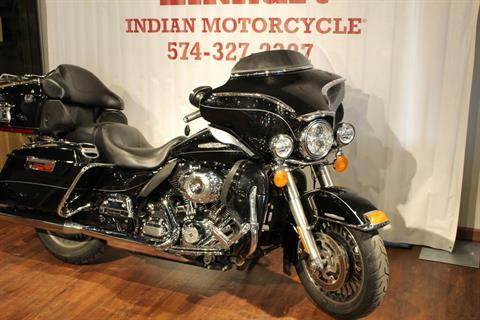 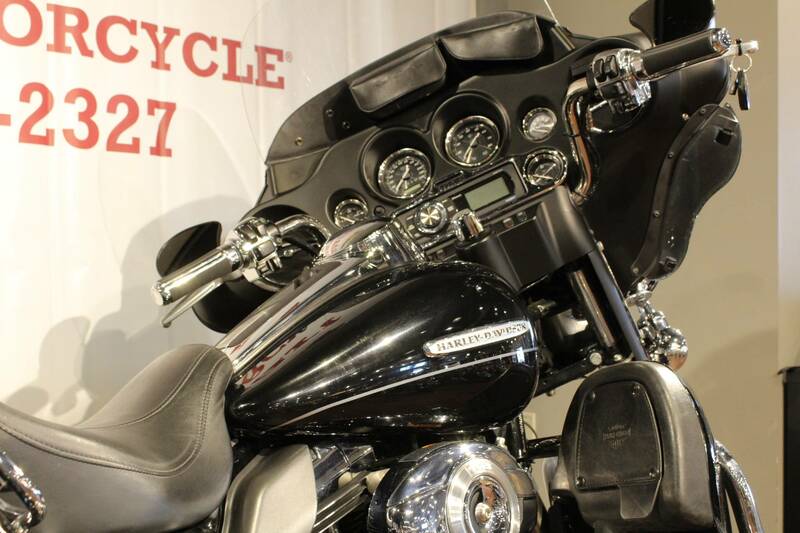 Harley has many other motorcycle touring bikes, all to provide you with comfort and style. Be sure to look at the Road Glide® Ultra with its frame-mounted Harley fairing for your motorcycle travel as well as all of the other Harley touring motorcycles.